Well its about time that I shared my Tour of Pune as the final cog in my month long visit to India. I am sure you haven’t seen Parts 1-3 which you can definitely enjoy with your favorite tipple here! 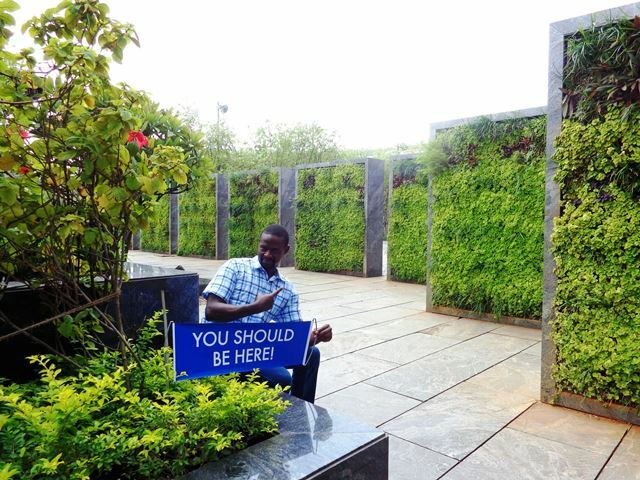 While in India, I spent most of my time in Pune based at the JW Marriott hotel. 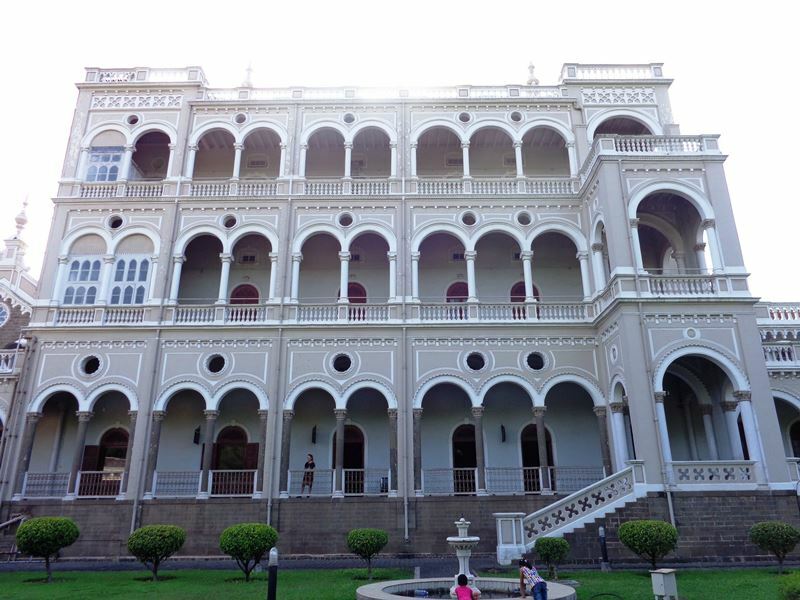 I made sure I planned my tour of Pune in bite sizes, visited outstanding historical sites like Aga Khan Palace, Parvati Hill and Temple and the Shaniwarwada Fort and also enjoying my 5* Hotel facilities. Does this happen to you too….? 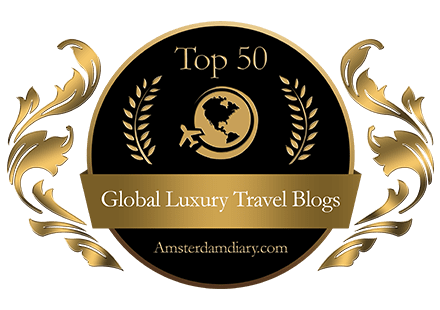 You visit a place, pay top dollar for your hotel and hardly use the facilities, as you dash about trying to pack in as many sites as possible in the shortest time to boot? Well it happens to me lots and this time round I decided I was going to milk every moment at the Amazing Pune Marriott and have a leisurely tour of Pune city too! On getting to the hotel, I was given a warm welcome with a chilled orange juice as I was checked in. I was pleasantly surprised at the beautiful architectural design of the foyer. (For those that have read my prior articles I love Facts, Architecture, Art and a bit of History…so prepare to be wowed by the same here). This hotel has a grandeur thats reminiscent of Old world Indian Architecture that you wouldn’t expect looking from the outside. At its uber modern exterior! Tall white columns, high ceilings, lovely chandeliers, an elegant winding staircase, boy I was totally excited about my long stay here. A bell boy carried my luggage to my Deluxe Mini Suite below, wonderfully designed and very spacious. It was embellished in luxurious elegant wooden furnishing, and a huge king size bed that had a selection of soft, medium and hard pillows. It had a 37 inch LCD TV and fully stocked mini fridge FREE…Oh yeah. It also had optimised lighting that created a mood calming atmosphere. The bathroom was fully marbled and it had a tub and shower that I really enjoyed daily. There was a lovely well-lit circular shaving mirror with pot-pourri near the basin to enhance the sweet fragrance and ambiance in the room. One of the things that stood out for me about the service was that my laundry was attended to whenever I requested for the service. My clothes were washed, ironed, and packed professionally. Returned with the JW Marriott branding and packaging similar to what you’d get from a high street shop…that’s branding on speed guys! See image below…seriously this was awesome! The Marriott excelled itself in my opinion! Julie had just returned from Tampa and had also stayed at the 5* Tampa Waterside Marriott property, she agrees it no where reached this level of service! 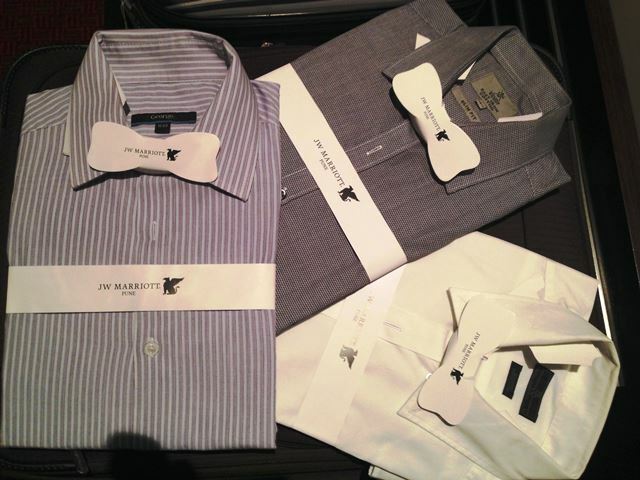 My Laundry – Looked like brand new clothing @JW Marriott Pune! 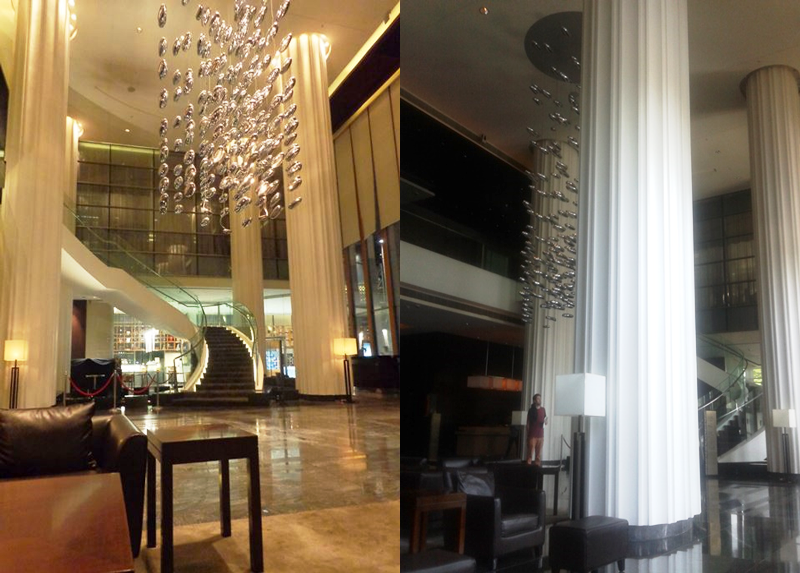 I was impressed by the professionalism and importance with which they treat the customer and JW Marriott brand. 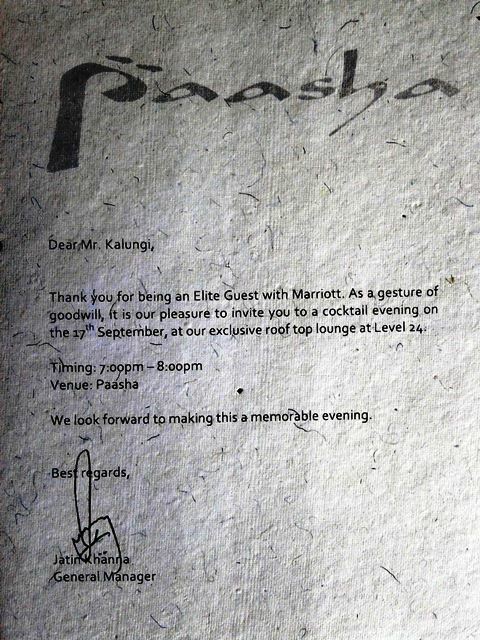 There is a lesson to be learned & borrowed on branding & customer care here. Let me give you a run down of the restaurants since I had most of my meals here! Spice Kitchen – Located on the ground floor, it offers international cuisine in a relaxed atmosphere inc. Buffet lunch & dinner & a breakfast buffet to die for. Once you have had this you won’t need much till late afternoon, past 4pm to be honest! Its truly filling! Alto Vino – When I felt like Italian food, I visited Alto Vino. This restaurant is sophisticated and stylish with a real Italian ambiance and offers different types of pasta, olives, wood-fired pizzas and succulent meat dishes. 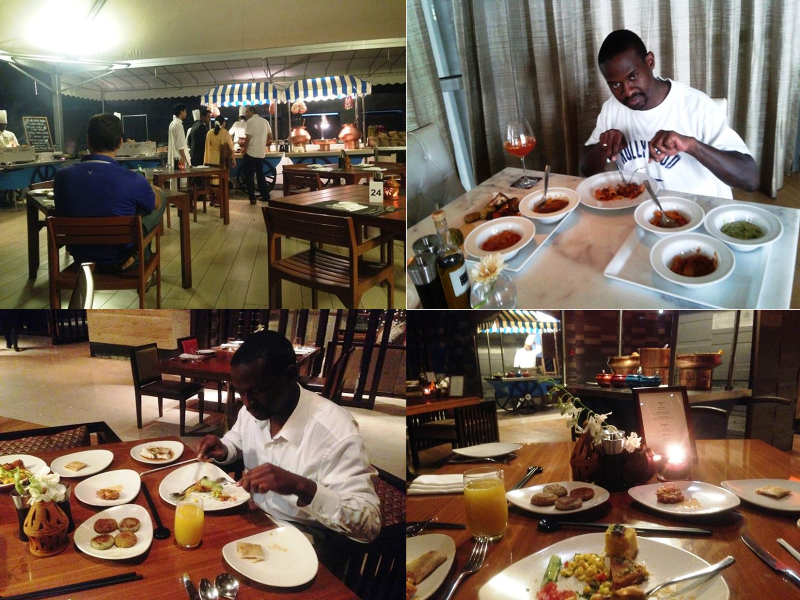 The meals came with a generous serving of wines and mocktails that were available on a wide-range of selections. Shakahari – This is a Vegetarian & Vegan Haven that I visited out of curiousity! Located on the first floor, opposite the Alto Vino restaurant, I couldn’t avoid it forever! And I was pleasantly amazed! Shakahari serves creative and colourful pan-Asian vegetarian dishes, together with a collection of fruits for dessert. I found a wide variety of iced teas and vegan wines. 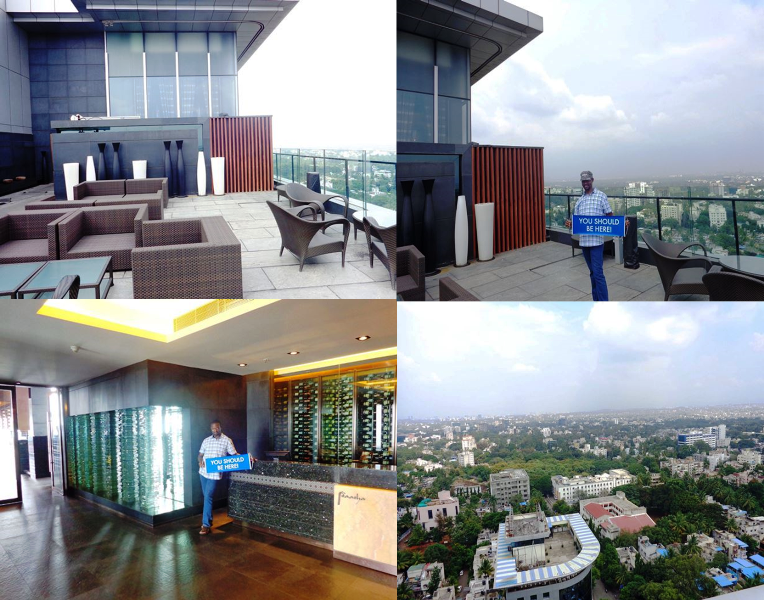 It also has a roof terrace that offers splendid views of Pune during the day and specially in the evenings. Below are images of this gorgeous lounge and views! As an Elite guest with Marriott, I was invited to a cocktail evening by the hotel’s General Manager to this exclusive roof top lounge, the paper was heavy real luxurious type, image below doesn’t do it justice! I got a chance to connect with other elite Marriott guests as we sipped on different cocktail drinks and enjoyed the panoramic aerial view of Pune city. The choices for the composition of the cocktails generated by the bar man rolling a set of four dice which he would then mix together. 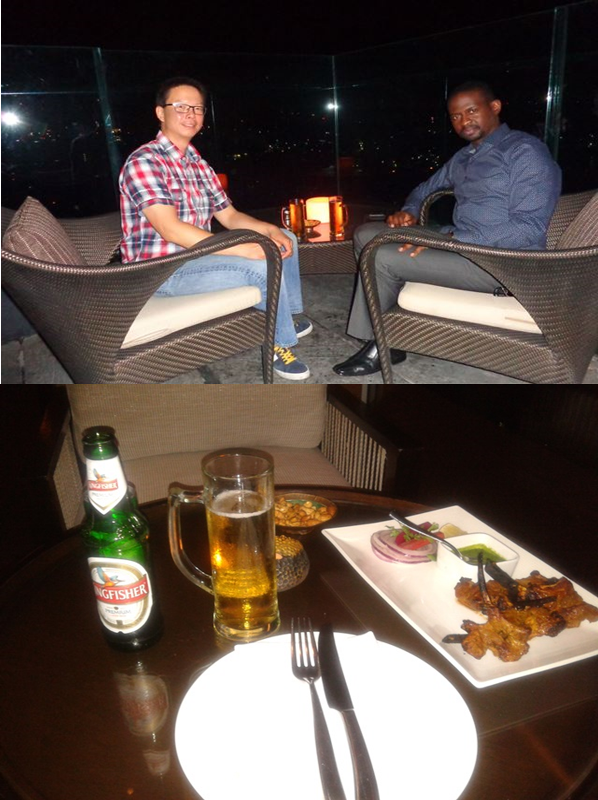 I also had a chance to enjoy the views of Pune at night as darkness set in while having drinks under the moonlight. After having the cocktail, it was time for dinner in the Paasha restaurant. The lounge was dimly lit with Persian interior decorations and high ceilings. The main bar was located in the center with a pod and DJ playing music. The wonderfully selected soft music played by the DJ and the lighting created a warm ambiance and amazing atmosphere, you had to be there to feel this, amazing! Dinner was fab. This was a perfect setting for me to enjoy Kingfisher Beer and spicy lamb chops for my starter. I had a traditional Indian Masala dish for the main course which I really enjoyed. The staff are cheerful, and the manager on duty was very friendly and he made sure we were truly entertained and served all evening. The JW Pune Marriott is not short of options for health fitness and well-being. It has a fitness center, outdoor swimming pool, whirlpool, steam room, sauna and Quan spa. If you are looking for pure luxurious treatment then you gotta try a Quan Spa and its nothing like you have experienced before! The Quan Spa – This is one of the biggest urban spas in Western India. It is very spacious and gracefully designed to spread over 15,000 sq. ft. Quan is a Chinese word that means ‘a source of pure water’ and the spa draws on the water’s restorative properties of healing and rejuvenation. It has a “Foot Lounge” with 9 beds, 13 treatment rooms and a relaxation lounge. There is an extensive choice of treatments for guests including Ayurvedic treatments that are done by certified and varied team of spa therapists; from the West & Asia. Outdoor Swimming Pool – The swimming pool is located on the terrace of the second floor. It is 25 metres in length with a pool bar for your rehydration and drinks. I created time most days to use the health and fitness centre esp. the sauna, steam room, followed by the whirlpool. I would then head off to swim and cool off in the pool. Surrounded by hanging gardens with beautiful flowers and palm trees…you gotta see this place! The Fitness Center – Most evenings I would head to the fitness center located on the 2nd floor for a workout. It has an aerobics room, free weights and cardiovascular equipment. There is also a fitness instructor to assist with the exercises. I can tell you that on your Tour of Pune by night, you should check out this hotel Club called the Mi-A-Mi! Mi-A-Mi – Is located in the basement of the Pune Marriott and is one of the best places to experience Pune night life. The music is awesome and it is such a popular club that it gets really packed. Get there early is my advice. 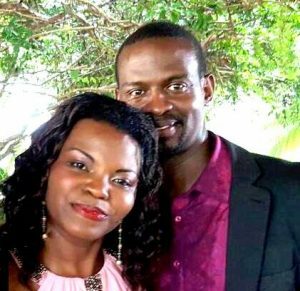 There is a separate dance floor for couples and there are private lounges where groups of 10-20 can have separate private seating too. This is quite a place to go and shake off some of the calories, people watch and have a blast! Bar 101 – If you can endure the heat in the throat, this bar is a watering hole to be checked out. It was awarded the Gold Certification by the Whisky Bars of the World in 2012. It is a Scottish-style bar and lounge that offers a comprehensive selection of whisky, cigars and hors d’oeuvres. I remembered my Scottish mates when I visited. Although I am not much of a drinker! 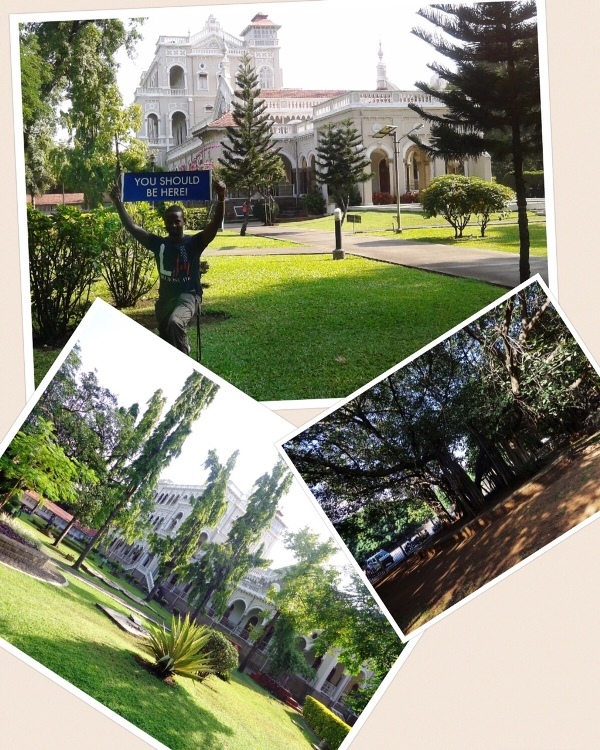 The Tour of Pune City’s Other Historical Sites! A must see on a tour of Pune historical and political sights, I too visited the Aga Khan Palace which is also known as the Gandhi National Memorial. According to records it was built in 1892 by Sultan Muhammed Shah Aga Khan III in Pune, India. The palace is situated 2 km away from Bund Garden in Yerwada on Pune-Nagar Road. It is has a facade with magnificent Italian arches and is built on over 19 acres of land with spacious lawns and immaculate gardens. Apparently this palace was built as a source of employment for the villagers in the surrounding areas that were affected by famine. It took five years for 1000 people to complete the construction. The main significance of this palace is that Mahatma Gandhi, his wife Kasturbaji Gandhi and his secretary Mahadevbhai Desai were interned in the palace from 9 August 1942 to 6 May 1944, following the launch of Quit India Movement. Kasturbaji and Mahadevbhai passed away while in captivity at the Aga Khan Palace and their tombs are located on the palace grounds. In 1969, Prince Karim El Hussenim Aga Khan IV donated this place to the government of India and it is now a national monument of India’s freedom movement in memory of Gandhiji and his life. 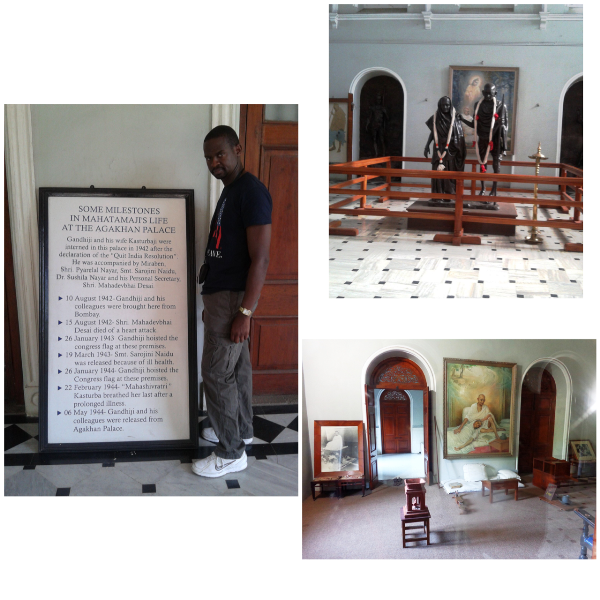 The museum inside the palace has a rich collection of pictures and photographs of important incidents of his life. 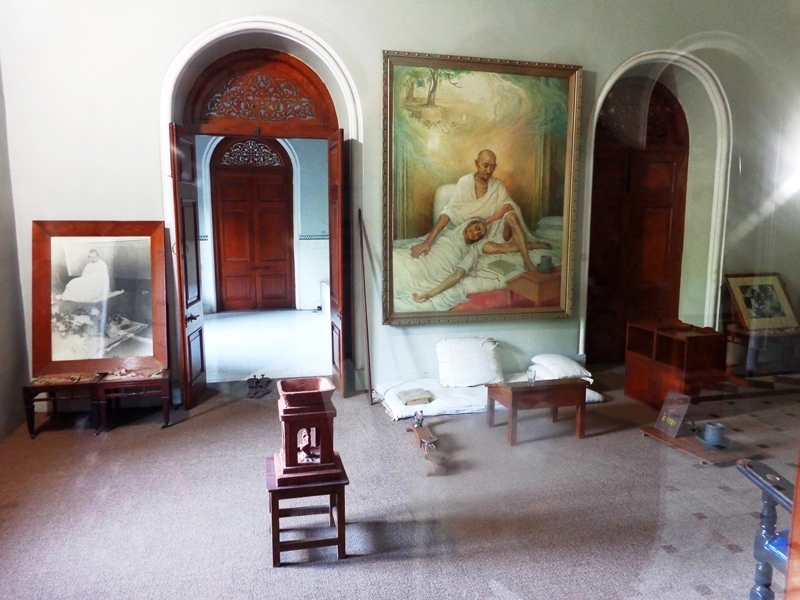 There is also a collection of his personal items including slippers, clothes, utensils, mala in the room where he was interned and a letter written by Gandhiji on the death of his secretary. A small amount of Gandhiji’s ashes are kept near the tombs of Kasturba Gandhi and Mahadevbhai Desai. 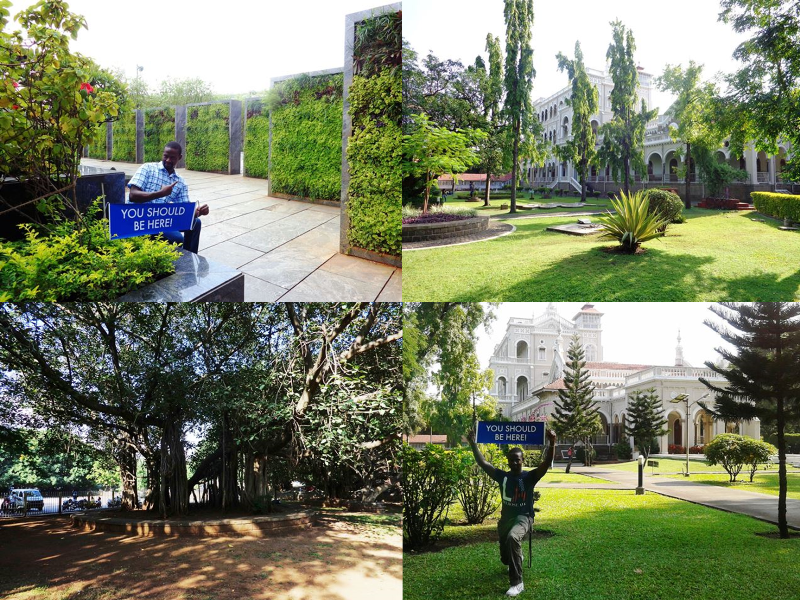 This is where Ghandi was Interned for years, a must see on a Tour of Pune City! I took a trip out of town to Parvati Hill on my tour of Pune. This temple is 640 m above sea level. I had to climb 103 steps leading to the top of the hill where the temple complex is situated. 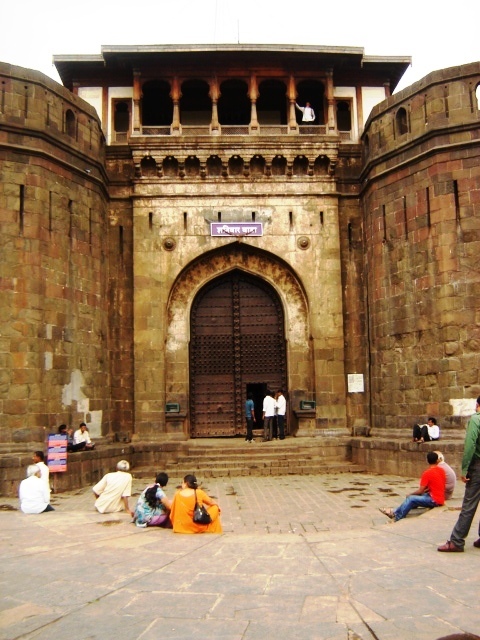 It was built during the Peshwa dynasty rule. The main temple, Devdeveshwara, is made of blackstone and was completed under Balaji Baji Rao, in 1749. Its also set at a vantage point that makes this location one of the most picturesque in Pune. This temple offers visitors a wonderful panoramic view of Pune and it is one of the oldest heritage structures in Pune. Devdeveshwar Temple – This temple is one of the best in the Parvati temple complex. It has a huge door made up of granite, entrance decorated by arches and a mandapa holding a magnificent grand Shiv Linga. The Linga here is unique, fixed within a brass seat and is believed to have been brought from River Gandaki which flows in Nepal. It is also believed that the footwear of Chattrapati Shahu Maharaj lies beneath this Shiv Linga. 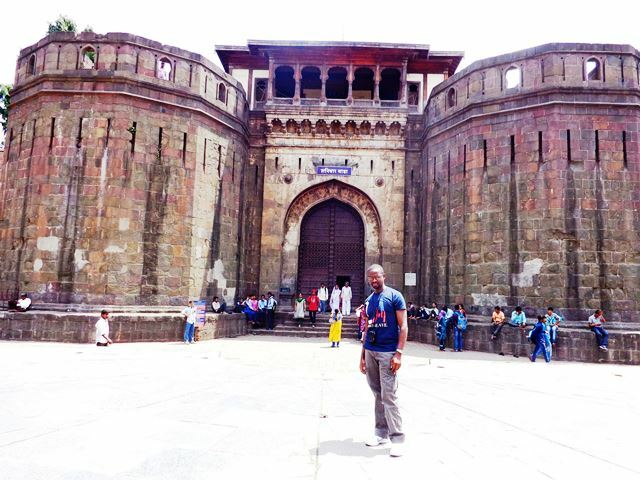 I also visited the Shaniwarwada Fort in Pune located on Bajorao Road in Pune, near the Mula-Mutha River. This expansive fort-palace was built between 1730 to 1732 and was considered to be an important centre for Indian politics. The fort itself was largely destroyed by an unexplained fire in 1828. However, the surviving structures are now maintained as a landmark tourist attraction. It has massive walls and is bordered by five gigantic entrance gates (Dilli Darwaja, Khidki Darwaja, Mastani Darwaja, Narayan Darwaja and Ganesh Darwaja). The Dilli Darwaja is the main gate of the complex, and faces north towards Delhi. The strongly built Dilli Darwaja gatehouse has massive doors that are large enough to admit elephants outfitted with seating canopies. To deter elephants from charging the gates, each pane of the gate has seventy-two sharp twelve-inch steel spikes arranged in a nine by eight grid, at approximately the height of the forehead of a battle-elephant. Each pane was also fortified with steel cross members and borders were bolted with steel bolts having sharpened cone heads. 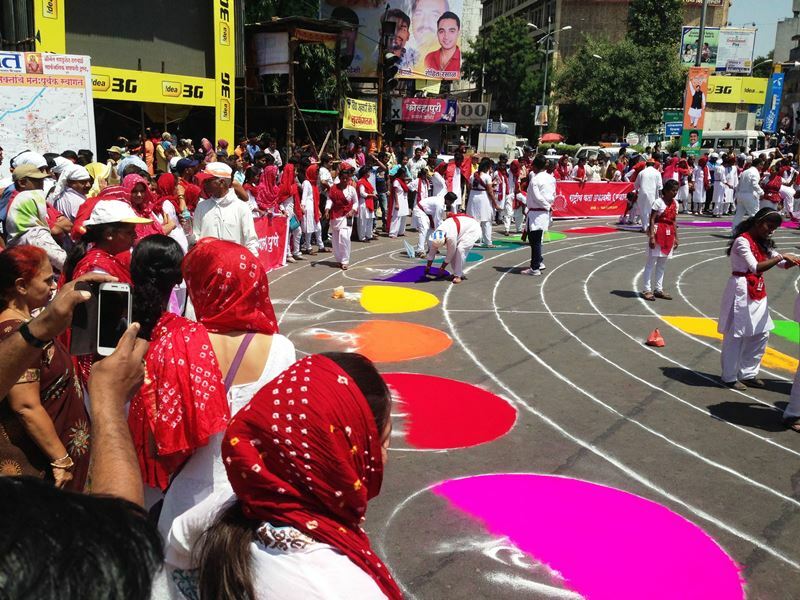 You must not miss this on your tour of Pune sights! The perimeter walls also have nine bastion towers and they enclose huge courtyards, a lotus-shaped fountain and a lush garden complex with the foundations of the original buildings. We ended the day in an Indian restaurant with my friends who introduced me to delicious traditional local Indian dishes. And I have always felt that when you travel you maintain certain healthy habits and one of them Is eat some of the local cuisine in a local setting. Don’t you agree? 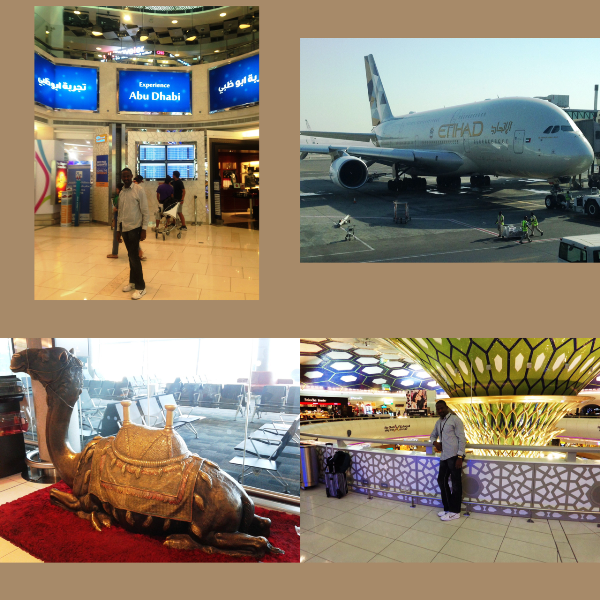 My flight from Pune back to UK was with Etihad Airways via Abu Dhabi International Airport. The service on the plane was highly commendable. I spent some time checking out the duty free shops. If you have transited thru here, you’ll agree with me that the interior design of this airport is amazing with specific attention to detail for the finishes. After a really hectic tour of Pune and surrounding attractions in neighboring cities. This was a much welcome break as I prepared myself for the onward 9 hour flight back to UK. All in all, the month I spent in India was a memorable time and I hope I have sparked a lil fire in you to see other shores esp. India. I enjoyed the rich heritage, the culture, the friendly people in city, the ambiance, hospitality and experience at JW Marriott, Pune. 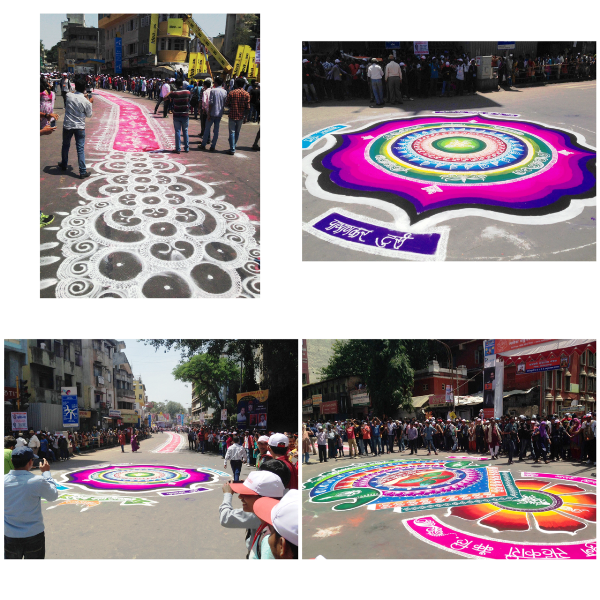 I loved my tour of Pune by day and night. I definitely recommend this to those who are fun loving with a passion for travel to see more of the world like we do. And if this kind of lifestyle pulls at your heartstrings, You absolutely can enjoy it too. We have a brand new Travel App coming out and yo could earn FREE Vacations worldwide just by using and sharing it Learn more about that here! I really would appreciate if you TWEET THIS now! By the way every image and text is socially shareable too! 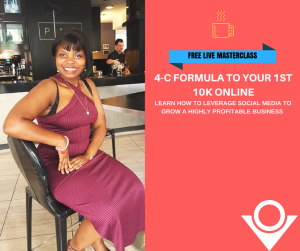 After you’ve left a comment, let’s CONNECT and bond some more on Facebook or on Twitter, Instagram and Google. We also have a Podcast on iTunes and you’ll definitely want to order our new, amazingly helpful Pinterest for Business Hacks to help you grow your following and sales too. Need Help with your Bucket List Or Question on a Destination? 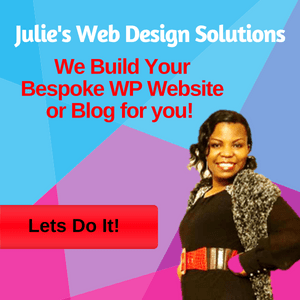 Check out our Work with Us Tab where we Help People Everyday. I came back from Europe about a month ago and I already miss travel! I just applied for my TSA Pre-Check pass – obviously I plan to TRAVEL A LOT MORE in the very near future!! Just blown away by these stunning photos guys! Love reading and seeing pics of traveling adventures because there is so much we can learn and experience from other cultures. Very interesting and beautiful. Thanks so much for sharing. I’ve never been to India before, but it sounds like you had a great trip. Thanks for sharing. ohh you should Melandria its gorgeous. There’s so much to do! Pune sounds like an amazing place. So many places you got to visit! Your “You should be here” sign makes me want to be there lol The hotel that folded your laundry sound amazing! That’s what you call excellent service! 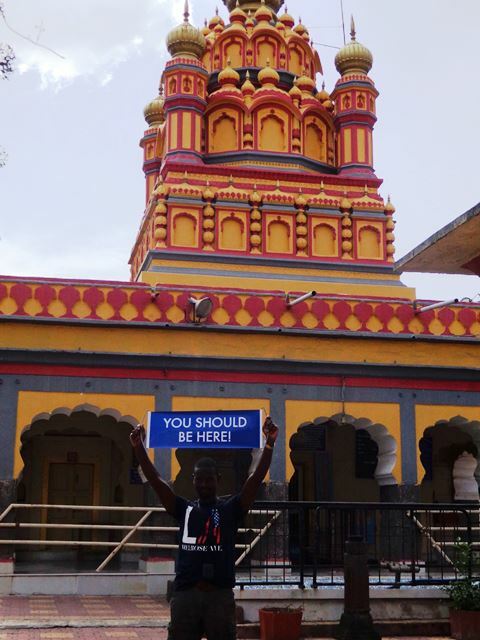 You can have that #YSBH sign..just have to be a member of our travel community and you will have such experiences and similar service on tap, as part of your normal annual living. Its human nature Jessica to try and cram in as much as we can wherever we go. We forget we call it a vacation…a time to rest and regroup too. So We have made it a point to spend at least 3 days minimum of any 7+ days trip enjoying the Hotel amenities and seeing just the surrounds. 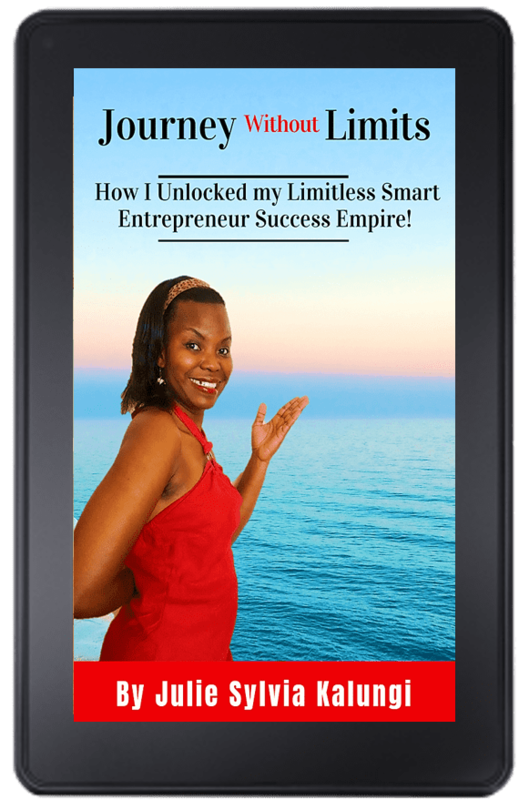 The best way to enjoy what you have already paid for instead of chasing and spending more lol! Wow that looks like a truly amazing place to visit! 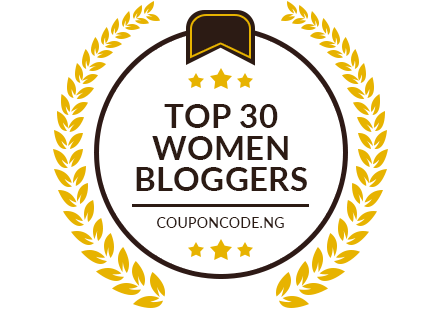 This is such a thorough review as well, you touched on everything a traveller could want! we wish our laundry looked like that every day too. Thats service at its best. Kudos to The JW Marriott staff and brand. We are glad you enjoyed Pauli’s review. The only place I have ever visited besides locations in the US is Italy and I really loved my travel experience. This looks like a beautiful vacation spot! Thank you for sharing your insight and tips. Italy is amazing. we love it. Europe in essence is beautiful. We have been to your neck of the woods, annually sometimes twice. Wow this is a beautiful place. My goals for 2015 is to travel more. I need to get my passport and add this to my list. Thanks for sharing your trip with me. Wohoo Get that Passport Vistoria. And if your aim is to travel more, why not start with a visit abroad, Absolutely! As part of a travel community we get to see not just our local areas but exotic locations and its so affordable its insane. I hope I did it justice and Absolutely put it on your agenda to visit soonest you will love it! This place look so peaceful, I want to put this on my bucket list this year. Now you are talking Nicole, and Absolutely do so. You will love it! Amazing! I’d love to visit some day. Love all the great pictures too. Wow, love the Marriott hotel and India looks so pretty. Would love to go and you certainly had fun! WOW, what awesome trip looks like you had a great time. Never travel to India. Would love to visit toward the end of the year doing London first. India just always seems so peaceful and food exotic …I definitely have to travel there! What a beautiful city. That’s why I don’t pay a lot for a hotel. I just need clean and functional. What do you really do there but sleep and shower? Its all down to what YOU WANT. What do you want when you visit a new land? I for one want to be in surroundings that way surpass what I have at home. OMG I Felt Like I was on this Vacation with you!! Lets go to Pune And Enjoy it all again! [ Smiles ] Wow! Pune is a paradise! It’s so beautiful! I’d definitely love to go there someday. I have heard a lot of great things about India. I would love to go there one day. We did too and decided to go for it so do it and enjoy every moment! Such beautiful scenery and the food looks amazing! Aww Rachel dont remind me of the food. Absolutely mouth watering in a literal sense as well. India is one of my bucket list this year, such a lovely pics. I have never been to India, the only Asian country that I visited is Japan aside from my home town the Philippines. It looks like you had an amazing time in your trip in India. The hotel look fabulous and all the amenities. Well You have been outside your country, millions of people have never stepped outside their hometown. 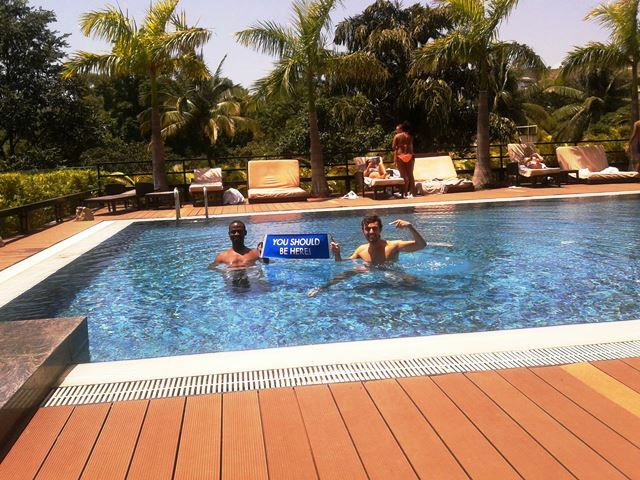 WOW there is really a lot that you have done there in India, so awesome to see you having a blast! Thanks for sharing your experiences! 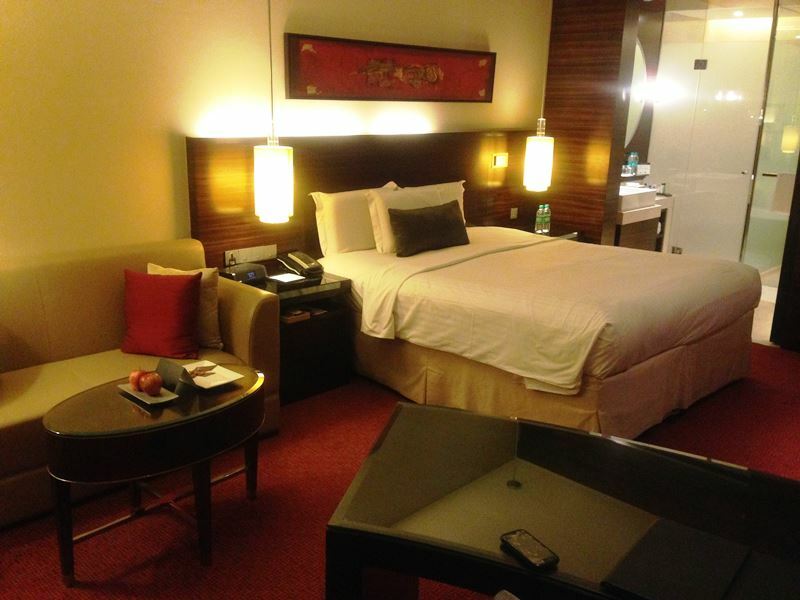 If you ever visit Pune Absolutely check out the JW Marriott its amazing! I’m totally convinced to go! It is magnificent and since I love JW Marriott locations, you don’t even have to twist my arm to stay there. Thanks for sharing your trip. India is somewhere I definitely want to visit before this life is over. What an amazing trip. That hotel looks so amazing. I love your travel photos. Thank you for sharing the history behind some of the places you visited. Awww you are most welcome Amber. I love Art, Architecture, structures, history in no particular order and when I see it I share it! It looks like you had a wonderful trip! There’s really a lot to see here! I don’t think a week would cover all of these amazing places. The hotel is definitely a stand out, what can you expect, it’s Marriott so it’s always going to be high end. What fantastic architecture. You seem to have had a fabulous trip. Thanks for sharing your beautiful pictures with us. I’d love to go to India someday. Such beautiful architecture and culture. We hope yo make that SOMEDAY disappear and set yourself a specific goal to Visit wherever you dream of visiting coz Someday = No day in our book anyways. I LOVE dining in other countries! It speaks VOLUMES about the culture!!! Sounds like an unforgettable experience! 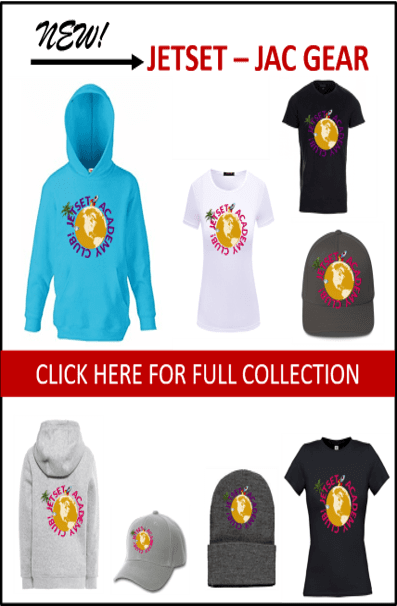 That laundry service is amazing! Yayy finally someone noticed the laundry service. Tina B you rock. Trust me this hotel spoilt me for others. What a beautiful place to visit and a wonderful trip! AnnMarie, Beautiful is one of te few words I would use to describe it as well. 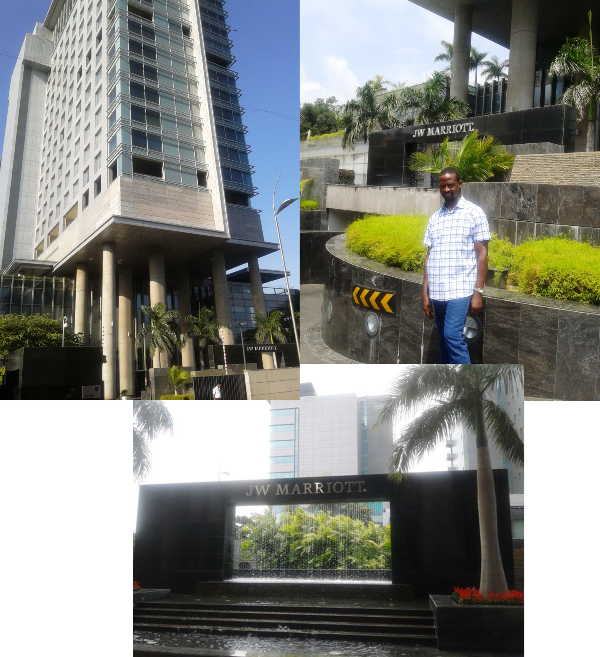 It was an amazing trip and I am thankful to MWH, DreamTrips & JW Marriott Pune for that month! That is an impressive hotel!! I want to be there! The Quan Spa looks so decadent but spiritual at the same time. That is one nice hotel. Looks like you had some good food too. Its one Gorgeous and Majestic Hotel Tara, and you cannot tell it from the outside. Part of its charm for sure! Great review, Pauli! We love JW Marriott hotels. We will definitely check this one out when our travels take us to India. Pune is beautiful. Thanks for sharing all the fabulous pics! Its an honour to share how wonderful India and Pune in specific was and is. Hope you do go visit. Its amazing! Indian Cuisine is Awesome! Love the spices especially, great aroma. Thanks for sharing a glimpse of how amazing India is. Looking forward to experience India first hand. I have always dreamed about going to India:) Your post has only made me want to pack my bags today and go! Thanks for the inspiration to get this trip planned. Absolutely go for it and Let us know if we can be of any help! India is truly beautiful and diverse! Pune is only a wee part of it! Wow what a trip! It’s nice to experience the 5 Star service. Will you be publishing more content on other travel destinations in India or was Pune your last stop in India? Hey Peter, we have actually published 3 more articles on India and Pune as well over at http://juleskalpauli.com/category/world-travel/ we will be sharing Mumbai soon too! What an amazing adventure you had! WOW! I loved looking at all your pictures.